﻿ Dulcinea Hotel and Suites, Cebu | FROM $36 - SAVE ON AGODA! "The staff was exceptionally helpful." 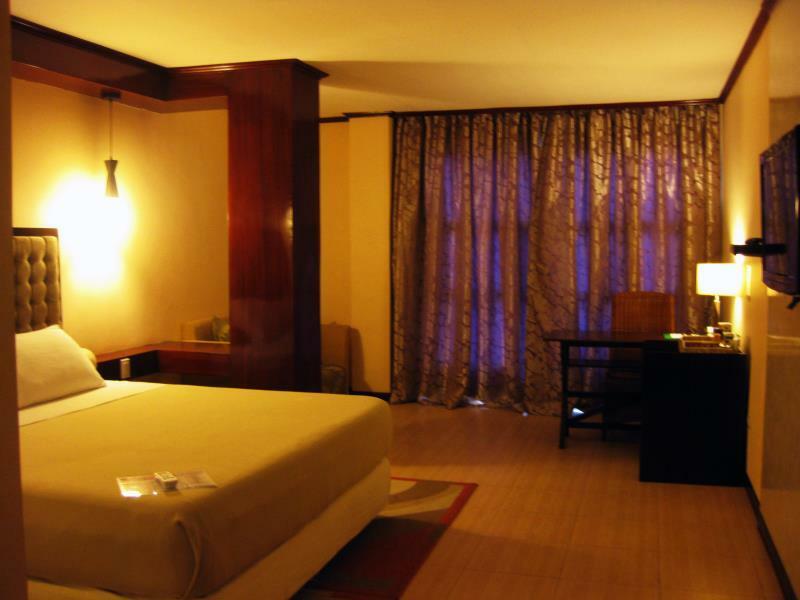 Have a question for Dulcinea Hotel and Suites? "This was the perfect spot for me and my friends who were only in Cebu for one night." "It is clean and nice with comfortable queen bed." "Reasonable cost, relatively clean, close to airport and shop..."
Located in the city of Cebu, Dulcinea Hotel and Suites is an ideal location for both business and leisure travelers. Offering luxurious accommodation, the property is within close proximity to the dining venues, entertainment centers, and everything you want for a fun-filled and a great vacation. Just a stone's throw away from the busy city of Lapu Lapu City, it is a five-minute drive to the Mactan International Airport and Mactan Economic Processing Zone. They feature well-appointed rooms that offer amenities like a TV, air conditioning, cable channels, in-room broadband, laundry, a hair dryer, and mini bar in all rooms. 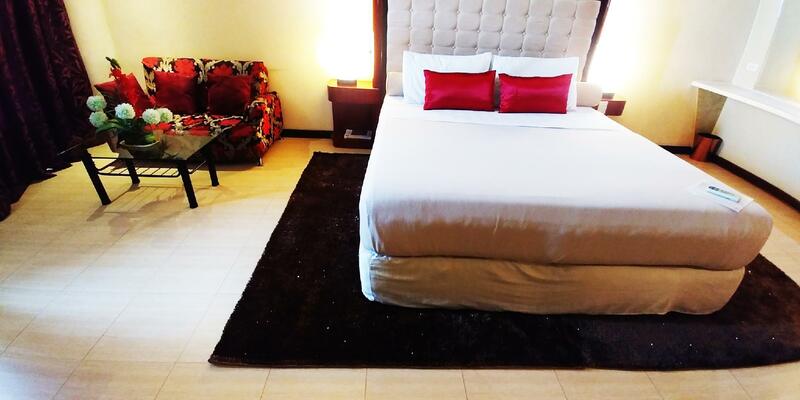 A nice location with great amenities, Dulcinea Hotel and Suites is bound to give you a convenient stay. "Staff were friendly and very accomodating." Airport transfer is available at no additional charge from 06:00 AM- 02:00 AM. In order to reserve the transfer, please inform the property of your arrival details at least 2 days prior to arrival. 1. Guests must provide complete flight details (flight number, estimated time of arrival/departure) at least 2 days before the check-in date. Guests provides incomplete flight information will not be eligible for the service. 2. Airport service request for last minute booking/same day booking is not guaranteed and subject to availability. 3. Shuttle service is subject to changes and availability. It is a complimentary service and no refund will be provided for guests who do not use it. Friendly and helpful staff, both in person and via email prior to our visit. The free airport shuttle is quick and efficient and the room is clean and comfortable. We will be booking a room here again for when we will be using cebu airport. Room was large and comfortable, helpful front desk, there is a shopping centre with food etc right across the road. It is 5 mins from the airport. They have a free airport transfer but not 24 hours. It was an OK place to spend a night before an early flight, I would not stay in this area other than that reason. I surpriced when i arrive. it looks old aprtment. However, room is ok. location is near the airport. its good to stay if you have early morning flight or late night. but if you want to travel in cebu, should stay in cebu city or near the beach. Compare to price, service is really good and reception is very friendly. Not far from airport, if you arrive at CEBU, this hotel will be the best option. Quick response at e-mail inquiry, clean room, no burgs. I recommend this hotel. Very friendly and helpful staff. I stayed in 3 hotels over the last week and this was the only hotel to take the bags all the way from the pickup point at the airport up the stairs to the room. For the price of the hotel the service could not have been better. Excellent. Thank you. We stayed in Dulcinea because we needed a hotel near the airport after coming in on a late-night flight. The staff was exceptionally helpful. The shuttle waited for us more than an hour after we scheduled pickup due to painfully long lines in immigration at 1 am. They always offered to help with baggage and offered water and information immediately on arrival. The room was spacious, comfortable, and clean. The only downside to Dulcinea is that it is slightly older and the location is best for the airport and not for beach or going out. Breakfast was very good and it’s nice that its delivered to the room at a time of your choosing (between breakfast hours) so no need to get up early. They also offer airport transfer which is a bonus. This hotel was adapted from a section ocuppying part of a floor of an old shoddy commercial building. 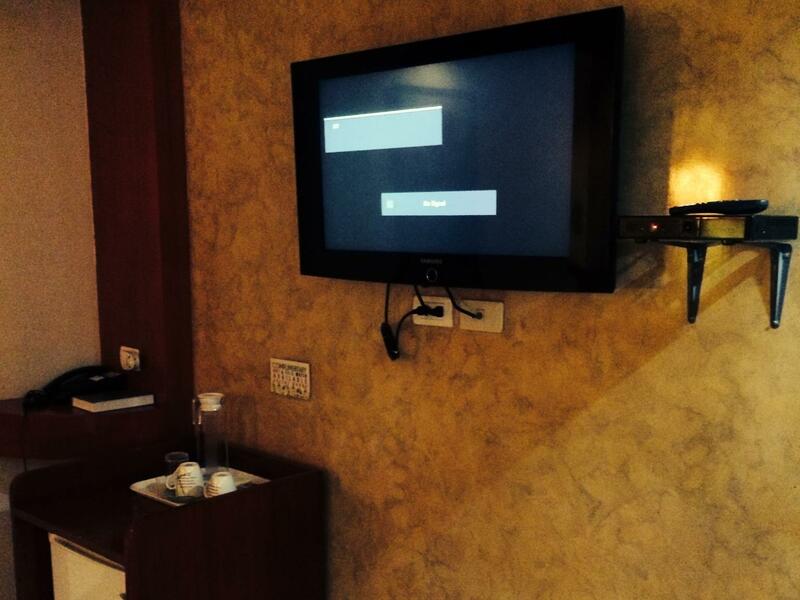 Equipped with 12 rooms, and NO on site amenities other than a couch; located in front of the check in counter. The hotel is on the 3rd floor with no elevator ( walk up only ). Located near the base of a filthy, traffic laden bridge on an extremely busy street that is difficult to cross because of heavy traffic and the center concrete dividers. Across the street is a 30+ year old run down mall. The room was spacious but poorly designed. The closest was far too narrow to hang up or store anything, thus useless. The bed was good, and the staff was nice. They made breakfast and delivered it to the room to eat at your desk. 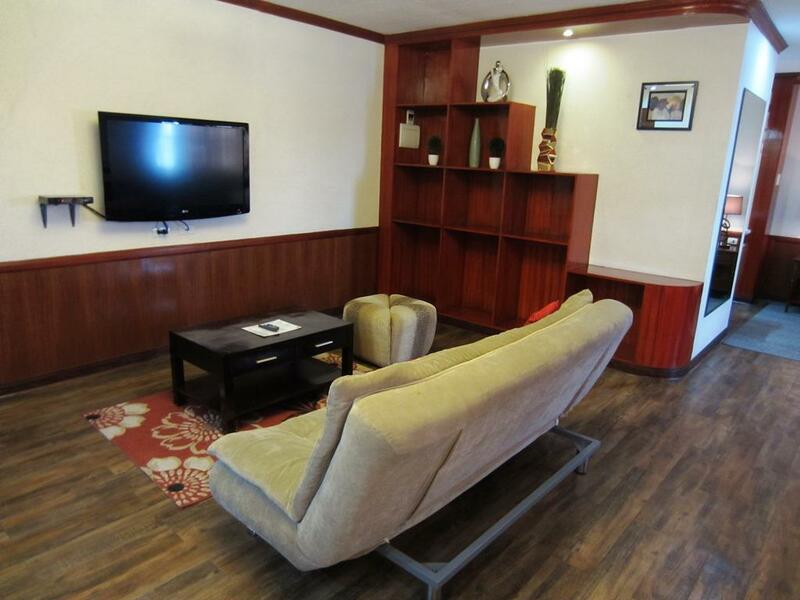 Reasonable cost, relatively clean, close to airport and shopping malls. Friendly and helpful staff. All fine except that there is no elevator particularly for elderly and persons with particular disability. This was the perfect spot for me and my friends who were only in Cebu for one night. We were close to the airport and mall. The staff is also very nice and the complimentary breakfast is really good! The place may look a little sketch from the outside but the inside is nice. I would stay here again if I wanted to be in the city center. We always stay here whenever we have an early flight the next day as the hotel is very close to the airport. The hotel gives a free taxi service to the airport even when it was 5 o'clock in the morning. They even gave us our packed breakfast. This hotel is very convenient when you need to be close by the airport, especially when traffic is bad in Cebu during rush hour. They offer free shuttle service to and from the airport (needs prior arrangements). They even offer complimentary breakfast. The room exceeded our expectations, the staff were nice and friendly. We only had an overnight stay but the service we got was more than we paid for. The only disadvantage is that the hotel is on the 3rd floor, with no elevators. But still, it is highly recommended for families, even with small kids. Good Location be near to Mactan Internation Airport and be opposite with Department store and 7-11. The best choice to reserve. Good service mind from all staff. Sutthipong Th. Bangkok, Thailand. Nicely appointed rooms that are clean and well made up. Breakfast was huge and enjoyed by us and the kids. Really close to the airport, but didn't necessarily feel safe to walk outside without my husband at night (Im generally pretty good with this sort of thing!) Is a large shopping mall across the road, however as it was Good Friday it wasn't open - there is however a 7 eleven also across the road for a few necessities. Would definitely stay here again! We stayed in here for our first night in Cebu. The staff were excellent and at the airport waiting for us - even after a flight delay - absolutely fantastic service. The staff were very friendly and there to help out. The rooms were fantastic size with a very comfy bed. The hotel is very close to the airport and close to the local shops. Perfect stay after flying. ATM machines nearby. In driving distance also to the port. The breakfast in the morning was outstanding and served to the room which was exceptional! Great customer service. Well recommended. Very nice room, we were streetside, so there was a bit of outside noise. No restaurant on premises, but many options nearby. Complimentary breakfast was delivered to our room. Staff was very friendly and professional.